Once Upon a Twilight! : #Hartford Grab Passes to Alice #ThroughTheLookingGlass 5/24! #Hartford Grab Passes to Alice #ThroughTheLookingGlass 5/24! 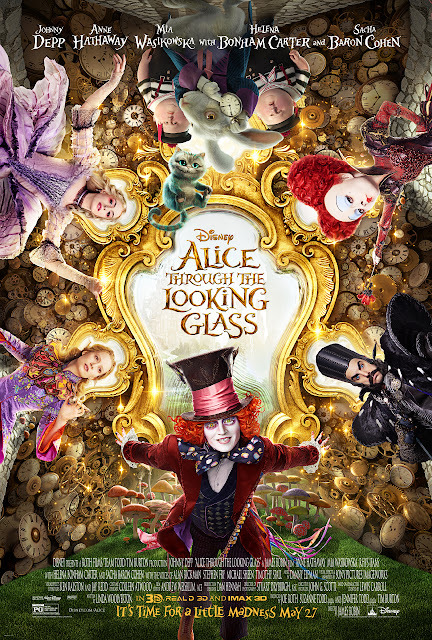 In Disney’s “Alice Through the Looking Glass,” an all-new spectacular adventure featuring the unforgettable characters from Lewis Carroll’s beloved stories, Alice returns to the whimsical world of Wonderland and travels back in time to save the Mad Hatter. In theatres nationwide in Disney 3D, RealD 3D and IMAX® 3D on Friday, May 27!